New Delhi, Nov 26: External Affairs Minister Sushma Swaraj on Saturday assured a medical visa to yet another Pakistani national who said that "after Allah you are our last hope". "India will not belie your hope. 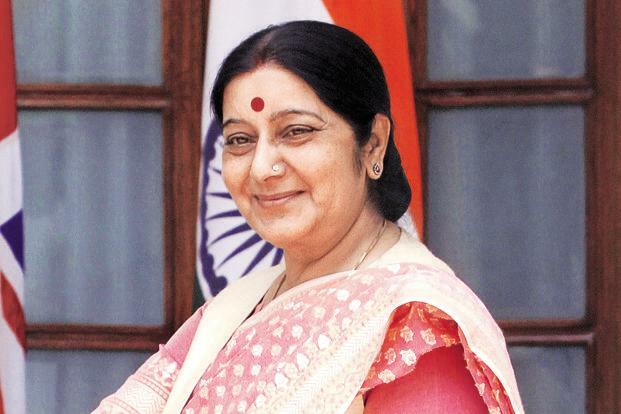 We will issue the visa immediately," Sushma Swaraj tweeted in response to a request from Shahzaib Iqbal from Lahore who said that a medical visa was required for the liver transplant of his cousin. "After ALLAH you are our last hope.. kindly allow islamabad embassy (meaning Indian High Commission) to issue us medical visa," Iqbal said in his Tweeter request. Sushma Swaraj also assured medical visas to two other Pakistani nationals seeking medical visas. "Yes. We will give you the medical visa," she said in response to a request from Sajida Baksh who said that she underwent a liver transplant but developed complications and now needed urgent follow-up. She also assured a visa to Kishwar Sultana who is awaiting liver transplant in a hospital in Noida.